We at the Hotel Jole, we have thought of everything, with excellent services will make you spend relaxing holidays in the family in the beautiful town of San Mauro a mare. In the hotel you will find a staff that is young and solar power always at your disposal, the bar is open for drink a coffee or a spritz in the company, and the wi-fi to share the most beautiful moments of your vacation on social. Arrivals in the car? 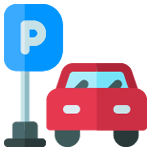 No problem: just 500 metres from the hotel, and 150 metres from the sea you will find our parking, where you can leave the car on arrival and use it when you want. 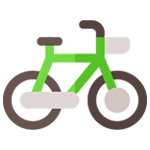 Then if you fancy a walk on the promenade or on the streets of San Mauro, you can use our free bicycles that also have car seats for children. If you choose to stay in all-inclusive formula you have already included in the package is free access to our private beach, the Bagno Guerrino, with 1 parasol and 2 sun loungers per room. Beach modern, well-equipped, offering an eye for the smallest kids with theplayground and the miniclub. There are also beach volleyball court, a ping pong table, and are organized lessons, water aerobics, and dancing in the evenings and cocomerate by nice and professional animators.